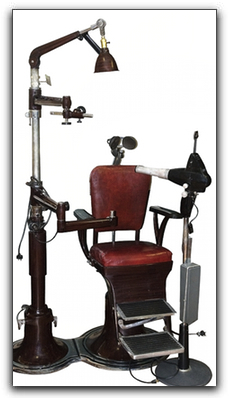 It has now been 150 years since the first dental license was issued to Sir John Tomes. Brandon FL area dental patients should be grateful for the advances made in dentistry during the past 150 years. At Five Star Dental Care, we celebrate with the Brandon FL dental community and marvel at the many advances made in the history of dentistry, particularly cosmetic dentistry. One of the modern treatments that has helped countless Brandon FL patients is invisible braces. This non-visible orthodontic therapy is custom made for each patient. They are transparent and removable and will help you achieve your desired smile in about 3 to 18 months. I am Dr. Jeff Bynum. My training didn’t end when I graduated from dental school and opened my practice near Brandon FL. As a cutting-edge cosmetic and sedation dentist, I continually seek training so I can expertly perform the latest procedures. In addition, our practice uses the most advanced dental materials available. If you are one of the many Brandon FL residents who has dreamed of an esthetic improvement to your smile, we invite you to make an appointment with Five Star Dental Care to discuss a smile makeover. Complete smile transformations are completed as quickly and professionally as possible – sometimes in just one visit! One of our most sought after treatments at Five Star Dental Care is cosmetic dentistry and many Brandon FL folks are enjoying a brighter smile because of restorative dentist Dr. Jeff Bynum. At Five Star Dental Care we have been serving the residents of Brandon FL area since 1996 and would love to provide you and your family with professional, friendly dental care. This entry was posted on Friday, September 14th, 2012 at 9:58 am	and is filed under Cosmetic Dentistry, General. You can follow any responses to this entry through the RSS 2.0 feed. Both comments and pings are currently closed.